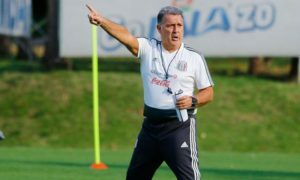 As we reach the end of the season, FutMexNation’s Tom Harrison is overflowing with data from the 2017/18 Liga MX season, and will attempt to use this data to learn more about certain players in Mexico’s top flight. 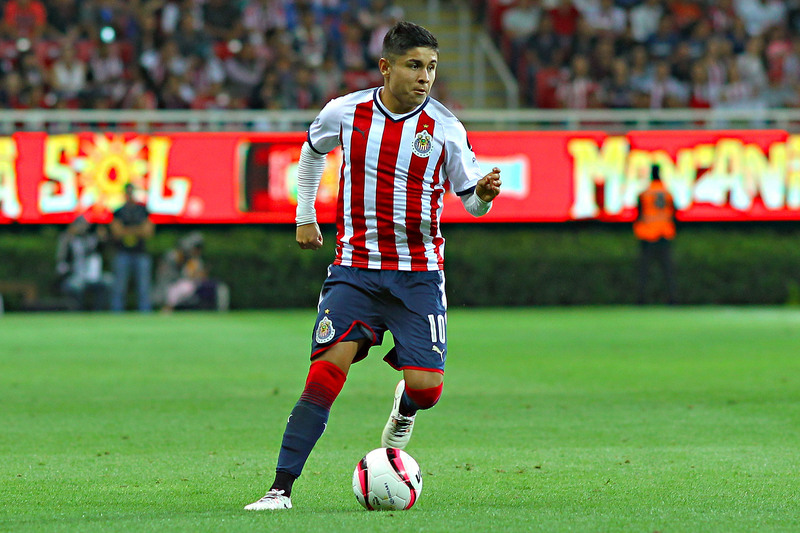 In this piece Tom looks at creative players in Liga MX, specifically, players that hit a key pass at least four times per 100 possessions. All raw data is provided by Sofascore.com, was taken after jornada 15 of the 2017/18 Clausura, and covers the Apertura as well as the Clausura. 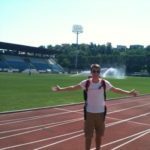 Performance 100 data was created and calculated by Tom Harrison with support from SoccerNurds. What type of players create chances? The answer seems obvious, attacking midfielders and wingers. But looking at Performance 100 data, therefore removing the bias of how often players receive possession per match, some strikers rank amongst the most efficient creative players in Liga MX. 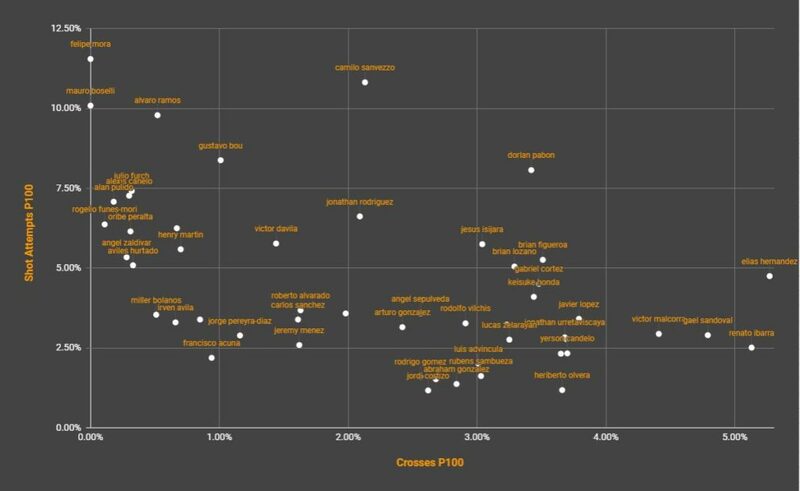 The graph below illustrates the different style of players that play a key pass four or more times per 100 possessions (P100), comparing the number of shots that they attempt with their amount of successful crosses. Players towards the top left corner of the graph are all strikers. Some are target men (Boselli, Furch, Funes Mori), some are poachers (Mora, Martín). These players generally have few possessions per 90 minutes, and rarely, if ever, cross the ball as they don’t often move into wide areas, but do consistently create shooting opportunities for team mates. This may be through knock-downs, traditionally a major function of a target man, or short passes in and around the penalty area (one-twos, lay-offs, through balls). In and around the bottom right quadrant the majority of the players are wingers, or Lobos BUAP’s extremely attack-minded wing-backs. As expected, a good proportion of the “plays” of wide men are crosses, with plenty of these crosses leading to shots on goal. In between, in the bottom left quadrant, most of the players are central attacking midfielders (Bolanos, Ménez, Sánchez) and therefore do not attempt as many crosses as wingers, or as many shots as strikers. A couple of interesting outliers stand out on this graph; Camilo Sanvezzo and Dorlan Pabón. Both players are very direct, and move wide and centrally, when attacking and therefore are able to produce (relatively) very high numbers for both shots and crosses P100. Really interesting split between players in the top 10. 6 of them cross often, the other 4 are target men/poachers and barely cross. 2 main ways of creating chances regularly. Creative players lose the ball a lot. Being creative requires risk taking, and risk taking means accepting plenty of failure, along with success. 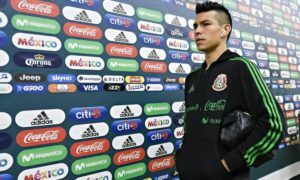 However, whilst losing possession must be accepted as a by-product of being a creator, it’s still a negative action (unless one of your team’s strategies is to lose the ball high up the pitch and try to win it back quickly, but for the purpose of this article we will assume that no Liga MX player has been instructed to lose the ball when trying to create). Therefore, efficiency of Liga MX’s most creative players will now be assessed, comparing key pass and big chance created numbers with lost possessions (times when a player action leads to a turnover). Two metrics have been created; key passes/lost possessions and big chances created/lost possessions. Both of these have been plotted against each other on the scatter plot below. One man stands out from the crowd, and has done statistically ever since he moved to Tijuana, Miller Bolanos. The Ecuadorian has the finest statistics of any attacking player in Liga MX, with an 85% shot accuracy alongside his extraordinary ability to create chances regularly (many of which are big chances) whilst missing fewer passes than the average Liga MX defensive midfielder. The only man that comes close to Bolanos’ level of efficiency is Eduardo “Chofis” López. López’s key pass numbers are aided by Chivas’ over-eagerness to shoot, their shots per goal ratio is the worst in Liga MX at 15.7, and as you can see Chofis’ big chance created efficiency isn’t outstanding, but his level of creativity is still very impressive, and López should be in the Russia conversation. Such stats suggest that the days of inconsistency from Chofis are over. 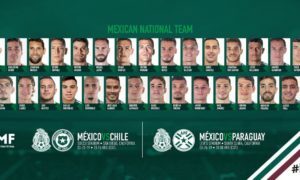 Other players that stand-out on this graph include Liga MX new boys Jérémy Ménez and Irven Ávila, Mexican strikers Alan Pulido and Henry Martín (should either be chosen for Russia ahead of Oribe Peralta?) and the evergreen “Chaco” Giménez, who only just makes the 500 minute cut-off. Lucas “Chino” Zelarayán is another noteworthy case, with superb key pass efficiency, but not a single big chance created this season. On the other side of the chart sit players that have an excellent big chance created to key pass rates this season. Players around and above 4% when dividing big chances created by lost possessions, but below 20% key passes/lost possessions, vary in position and style. This group includes a “number nine” in Martín Cauteruccio, forward-thinking “number tens” like Avilés Hurtado and Víctor Dávila, a more traditional attacking midfield playmaker, Keisuke Honda, and a winger, Elías Hernández. Interestingly, these players also regularly score goals as well as create big chances. Cauteruccio and Dávila have decent returns of four goals this season (both have started only 13 times), whilst Hurtado, Honda and Elíás can boast 37 goals between them. Highly impressive. Elías is the most surprising member of this group, considering the rarity at which crosses create good chances. Many regular crossers; Francisco Acuna, Osvaldo Martínez and Renato Ibarra to name a few, don’t possess excellent big chances created/lost possessions figures. Elías’ efficiency at creating plenty of big chances whilst being a regular crosser is a testament to his crossing accuracy, the ability of Mauro Boselli in the air, and the partnership the pair have developed. Efficiency has always been a problem in Gael Sandoval’s young career. His position in the bottom left corner of this graph shows that Sandoval hasn’t cut down on the regularity at which he loses possession since moving from Santos Laguna to Chivas. If he’s to develop into a national team player, Sandoval must significantly improve his rate of creating chances compared to losing the ball. This article has used Tom Harrison’s revolutionary Performance 100 data (simply put, working out how often players perform individual actions per 100 possessions of the ball), but per 90 minute figures can still be illuminating. They are of course impacted by the bias that some players simply receive the ball more than others, perhaps as the team is built around them (e.g. Rubens Sambueza) or because their team usually dominates possession (e.g. Lucas Zelarayán), but it’s still important to assess who is most regularly (per minute rather than per possession) creating chances. The graph below plots key passes per 100 possessions against key passes per 90 minutes for players with four or more key passes per 100 possessions. “Chofis” and “Chaco” still lead the way for key passes per 90 minutes, but playmakers that receive plenty of possession start to emerge from the pack on this graph. The aforementioned Sambu and Zelarayán are two such players, as is Jonathan Urretaviscaya, Osvaldo Martínez and Arturo “Ponchito” González. Unsurprisingly, strikers drop down the list when looking at key passes per 90 minutes, as strikers usually receive possession less often than any other outfield player, and sometimes less than their goalkeeper. Target man Julio Furch leads the way for strikers in terms of key passes per 90, suggesting both his ability to create via flick-ons and knock-downs, and Santos’ ability to feed the Argentine with possession. In football, there are many ways to create, and many types of player create. When just looking at key passes per 90 minutes, attacking midfielders and wingers will dominate. Removing the bias of how often a player gets the ball, and therefore their opportunity to create, by looking at data per 100 possessions, shows that many strikers frequently create opportunities when they do get the ball. This should have implications for how performances of strikers are judged, and perhaps suggests that feeding their strikers with more possessions should be the aim of some coaches. Output and efficiency are key for creative, attacking players, and whilst various coaches will desire different levels of both, the graph showed in the article is a useful starting point for analysis of creative players in Liga MX this season. Yes, plenty of the usual suspects appeared, but some surprises were found, the incredible positions of Bolanos and Chofis perhaps being the most unexpected findings of the study.